Complete your Windows-powered computer with Piriform’s three musketeers! 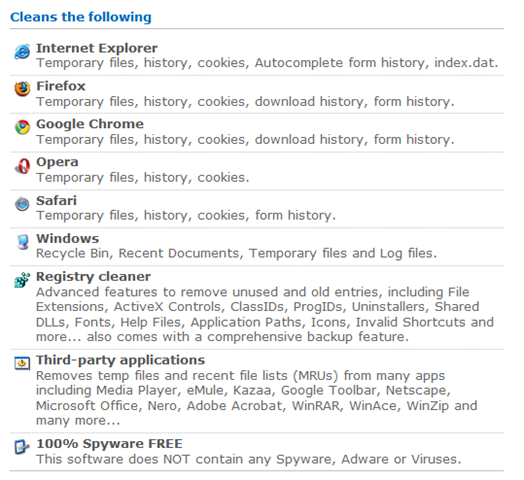 One of their proud freeware, that is very famous around the world, will be their CCleaner, that they even make an official site for it. Astonishing? 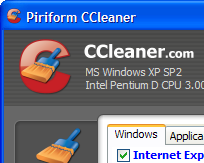 Doesn’t believe that a freeware can do so much of cleaning stuff for your computer? Try it yourself. Download here. Although Microsoft Windows has its own defragmentation software, but somehow the software industry has come out with a lot of different defragmentation software, either free or paid, that possibly more advance than the Windows default one. Piriform’s Defraggler is very unique compared to others as it can defrag a single individual file instead of the whole hard disk. Most defrag tools only allow you to defrag an entire drive. Defraggler lets you specify one or more files, folders, or the whole drive to defragment. Pick the trouble spots on your hard drive – like your favorite videos, your business software, or your Web browser. Defraggler does exactly what you tell it to. At a glance, you can see how defragmented your hard drive is. 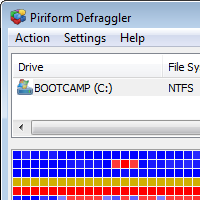 Defraggler’s drive map shows you blocks that are empty, not fragmented, or needing defragmentation. To see the files on an area of your hard drive, click the colored block. Or, view all of the files on your hard drive sorted by size, path, or number of fragments. Want to save the list for later? Defraggler has a report option which lets you save lists of all or some files to a text log. Most defrag tools only defrag files on a drive. Defraggler goes one step further and defragments the free space, too. If your free space is defragmented and all chopped up, new files written to that space will end up defragmented right away. Defraggler can defragment free space so new files are automatically all in one place, making your hard drive run faster and Windows work more effectively. Hard drives are fastest at the beginning of the drive and slowest at the end. If the files you use most often are at the beginning, your PC will run faster. You can tell Defraggler to put your large files (such as archives, videos, or backups) at the end of the drive and it will automatically put the smaller, often-used ones at the front. The result? More efficient use of hard drive space and faster computing. Don’t waste precious time. Defraggler runs in the background so you can continue to work, play, and have fun. It’s small and uses few system resources, so you won’t experience any slowdowns in the process. Defragment while you sleep – and wake up with a faster PC. Set Defraggler to run daily, weekly, or monthly and be assured that it’s keeping your hard drive speedier, more reliable, and more efficient. No matter what your native tongue is, Defraggler speaks your language. It currently supports 37 all major languages, including English. It is very important to run defragment for your hard disk because once the files in the hard disk become more, and the fragmentation increases, it could reduce the efficiency of the disk in term of reading and writing. (Although there are researches say that defragmentation cause the disk to more prone to failure), but in my own experience, defragmentation does more good then harm. If you haven’t have this practice to do maintenance to your computer, do download here and start defrag your hard disk. From the name itself, I guess you should know that the software can be used to recover accidentally (or purposely?) deleted files. You can always recover (not 100% though) any files that you had deleted, whether in your computer, mp3 player, memory card etc. But be aware that if the hard disk has done a lot of writing and defragment after the deletion of the file, most likely it cannot be recovered. But always, Recuva is good to have as a backup software in your computer in case you really did something regretful. We’ve all deleted files by mistake, or without realizing we’d want them at some future point. Photographs, documents, music files – we’ve all had regrets. With Recuva, you can get them back quickly, safely, and easily. This compact Windows program does the work for you, scanning your drives for the files you need, then recovering them in a flash. Recuva works on any rewriteable media you have. Whether you need to recover priceless photographs from your digital camera’s memory card, files you backed up to an external hard drive, or the documents you carry around every day on your USB key, Recuva’s got you covered. The dreaded hard drive crash. The file you forgot to backup before you reformatted a drive. Recuva can handle them too. It can scan through formatted disks that look blank and recover your files. With damaged or corrupted disks, Recuva will bring back what it can. Recuva’s basic scan will run through a large hard drive for deleted files in seconds. No matter what size of hard drive or media you’re using, Recuva gets to work fast so you can find what you’re looking for sooner. For beginning and intermediate users, Recuva has a quick-start Wizard that guides you through the process of recovering your files. Let Recuva know what kind of files you’re looking to recover, where they were located, and the program does the rest. For advanced users who want more fine-grained control, the full Recuva interface provides more options. 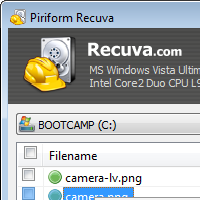 Be sure you’ve found the right picture before you restore it with Recuva’s preview feature. Once you’ve tracked down a set of files that look like they might be your holiday photos, you can use the Preview tab to scope them out within the Recuva window. It’s fast and efficient, so you only restore the files you need. If you can recover your files with Recuva, a hacker can too. That’s why Recuva has Secure Overwrite: a way to erase any traces of your files, even if you deleted them in Windows Explorer. Securely overwrite your files through Recuva and nobody will ever recover them. Not every deleted or damaged file is easy to find. Some of them take a bit more digging. Recuva’s Deep Scan option helps you find even more files buried on your hard drive or removable drives. It takes a bit longer but it’s worth it. Recuva is available in many different languages, so it can help you no matter where you are and what language you speak. The link to download is here if you need to recover any important files. If you always access to public computers or you are a computer guru, there are portable version that can run straight from removable media without installation thanks to Piriform. Previous PostHow to vaccinate your thumb drive and computer to prevent spreading of malware?Next PostHow to lock/hide your files or folders to avoid anonymous access without permission? Hey, Thanks a lot! Hope you enjoy my blog.